Our Eye Clinic Liaison Officers at York, Scarborough and Bridlington Hospitals are there to ensure that high quality emotional support is available when you need it most. Being told that you are losing your sight can have a profound and devastating impact. The role of the ECLO is to provide both emotional and practical support to anyone who needs it. They can refer you to other hospital departments such as the falls and stroke clinics, and bridge the gap between healthcare and social care to make sure people can access rehabilitation support. Vanessa Camp is the ECLO at York hospital. 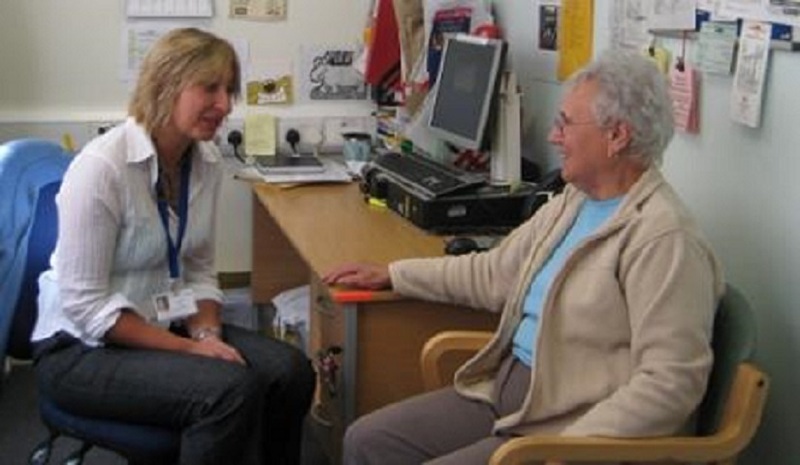 She is there to support patients with their diagnosis and help them to retain independence and make their own choices. She says, “I can’t change the diagnosis but it’s about finding ways to give people hope; little things can make a huge difference”. You can find Vanessa in Waiting Area A within the eye clinic. We also have an ECLO who works at Scarborough and Bridlington Hospitals as well as in York.